The name may sound like a ‘special’ Amsterdam lollipop, but it is in fact that of a truly innovative pre-war motorcycle company. 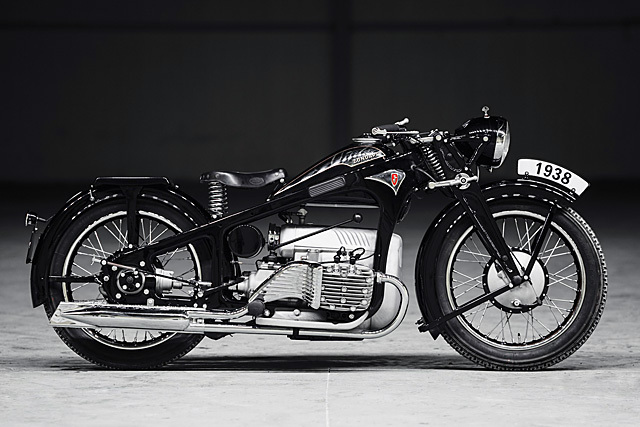 Zündapp, the now defunct German motorcycle makers based in Nuremberg, had two very distinct types of motorbikes they produced. Largely defined by the periods pre and post World War II, their post war motorcycles like the Sport Combinette have been featured on these pages before. They were a small capacity 2-stroke with just 2.6hp – basically a lightweight urban transport vehicle. But before the war, Zündapp produced “Heavy” motorbikes that came under the K classification, standing for “Kardanantrieb”. What does that mean? We’re glad you asked.